The snow just does NOT want to quit!!! 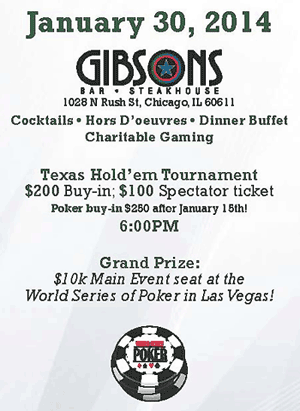 Not to worry...we had a great turnout at the VFW on February 8th for another Windy City Poker Championship charity poker event! The noon $50 Deep Stack tournament ended up with 41 entries creating a prize pool of $1,680. This tournament starts with 20,000 in chips with a slow escalating structure that gives players maximum play! 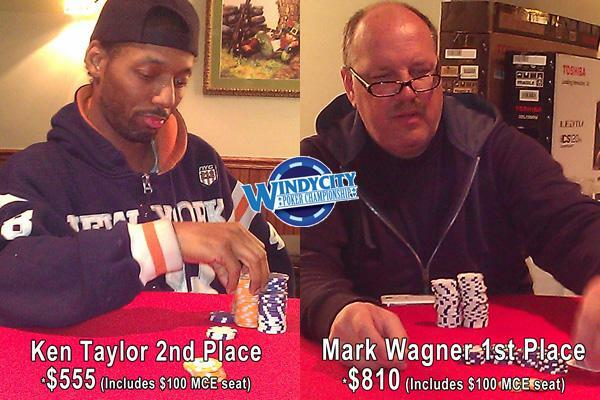 The opening weekend for the new "Windy City Poker Tour" was a great success even with the snow storm that rolled into town on Saturday night/Sunday morning! Players came out both days to play some great tournament structures, win lots of cash, and complete for seats at a televised feature table in May! On Saturday at Durbins in Tinley Park we got the event started at noon with 57 entries for the $50 deep stack opening event. This 20,000 chip starting stack tournament ran strong all day with Sam Miller taking first place in the first event.